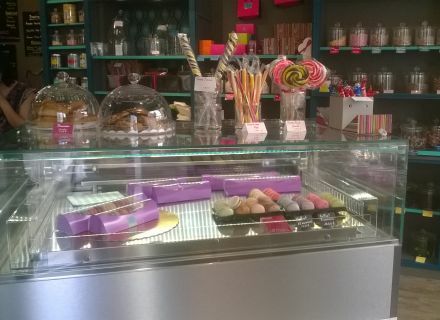 Home / Le blog / Bêtises and calissons: the time of candies and candy stores! 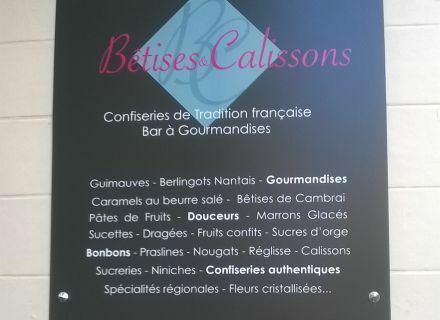 Bêtises and calissons: the time of candies and candy stores! 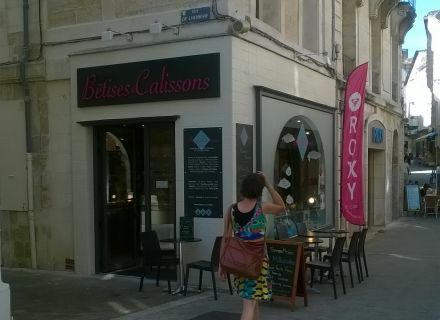 If you are greedy, the store " Bêtises et Calissons ", settled in the city center of Niort, is going to become your new mark! You will find more than 100 references there: caramel in the butter salted, marshmallow, boiled sweets to quote only some from it! By entering the shop, we feel there at once good, we have the impression to go on a trip in the time and to lapse into second childhood, in the store of the grocer of the village. 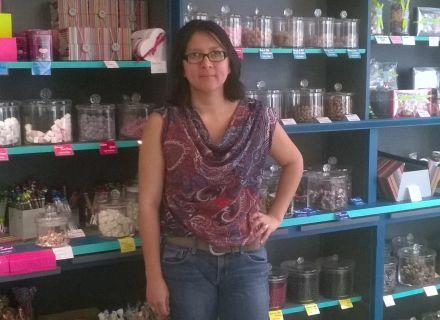 For Éloïse, the owner, this shop is a dream. As gourmand, she allies at the same time pleasure and work! She chooses conscientiously the specialities resulting from all France. 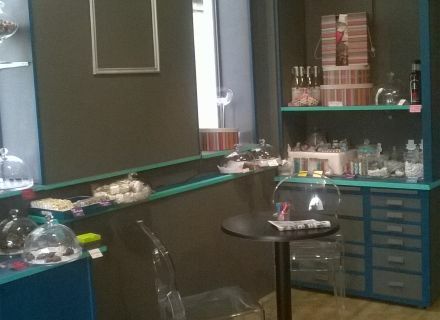 This idea is summarized in the name of the shop "Bêtises et Calissons". Bêtises making reference to Mints coming from the North of France and the Calissons of the South. And as each of us, Éloïse has sound or rather its favorite candies. The first one is the caramel in the butter salted. Of Breton origin, this candy rocked its childhood. The second, the marshmallow in the gum arabic: " I discovered this candy not long ago, but I avoid opening the jar which is placed by my side, otherwise I would eat it all the time! " Has us she confided when we were to visit her shop. Envy for a small moment of relaxation, Éloïse concocts you hot drinks (hot chocolate in the calisson, the tea) or cold (smoothies, milkshake). You can taste them accompanied with cake pastries (macaroons, cookies, financiers) on the first floor of the store or in terrace. Smoothies are realized from fresh fruit coming from the Halles of Niort. You can realize your own mixture according to your desires, one, two, three fruits, to choose! Envy for an original recipe made from candies, Éloïse delivers from it on its web site. And what of better to warm itself in winter when a hot chocolate in the Mint! · Pour the crème fraiche and the syrup into a bowl and mix by means of a spoon. · Pour the preparation into the tank of the siphon and close the whole. · Put the capsule of gas and shake. · Before serving, put in the refrigerator during two hours minimum so that the preparation and the siphon are for the same temperature. · Put the milk in a pan over a low heat and wait that the milk is warm. · Mix the chocolate melted with the hot milk. For a smoother recipe, add it the crème fraiche and move. You do not have more than to taste! And it left for a journey of flavors in every corner of France thanks to Bêtises and Calissons! Open on Mondays, from 2 pm till 7 pm and from Tuesday to Saturday, from 10 am till 7 pm. Closed on Sundays.